Tired of Searching All Over Orange County, Anaheim, Santa Ana and Irvine for the Right Car Parts? 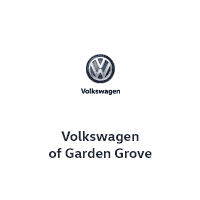 Volkswagen of Garden Grove Knows What Makes Your Car Tick, Inside and Out. The only thing more ambitious than taking on a D-I-Y project under the hood of your car is finding the right parts to pull the whole thing off without a hitch. Or at least, it would be if you didn’t have the new Volkswagen experts at Volkswagen of Garden Grove by your side. Our Orange County auto parts team is here to make sure you find the exact part you need, no matter which new or used car you own. We are here to ensure your car continues to meet your undoubtedly high standards. Ready to put us to the test? Our online parts order form is easy to use, and it will help us locate the part(s) you need for your project. And while you’re at it, be sure to give our Volkswagen parts specials a look as well. After all, the only thing better than finding the part you need is saving some money in the process.